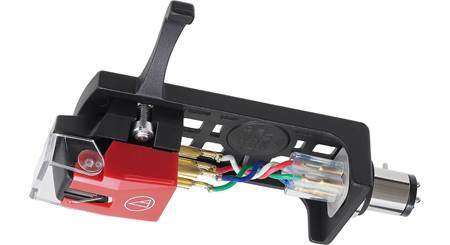 The Audio-Technica VM520EB/H pre-mounts the VM520EB cartridge in an AT-HS10BK universal 1/2"-mount headshell. The cartridge has two moving magnets inside, matching the left/right separation of a stereo record groove. The elliptical bonded stylus tracks record grooves with high accuracy for outstanding audio reproduction. It's designed to fit a standard 1/2" mount for compatibility with a wide range of turntables. 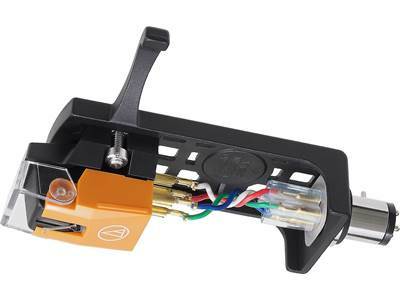 Headshell/Cartridge Combo Kit: Audio-Technica's VM520EB/H combo kit includes the VM520EB elliptical bonded dual moving magnet cartridge pre-mounted on the AT-HS10 universal 1/2"-mount headshell. 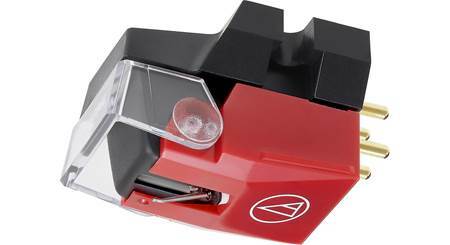 Dual Moving Magnet Stereo Cartridge: The VM520EB conical stylus cartridge is the entry-level 500 Series model in Audio-Technica's new VM cartridge line. Like all VM cartridges, the VM520EB is equipped with dual magnets that are positioned to match the left and right channels in the stereo record groove for outstanding channel separation and extended frequency response. The cartridge's 0.3 x 0.7 mil elliptical bonded stylus tracks the record groove with high accuracy for outstanding audio reproduction. 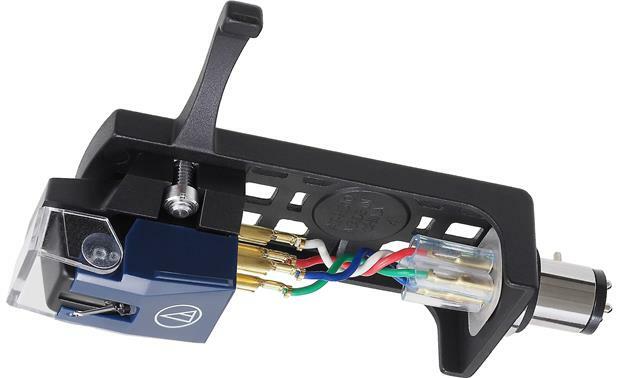 Universal 1/2"-Mount Head Shell: The lightweight aluminum AT-HS10 is a universal 1/2"-mount headshell for 4-pin turntable cartridges. Featuring an aluminum die-cast body, the AT-HS10 is designed to keep vibration to the bare minimum. The finger lift is positioned near the front of headshell to enable precise placement of the stylus onto the record. The headshell is equipped with gold-plated lead wires for lossless signal transmission and comes with mounting screws. will this fit my technics turntable 1200? 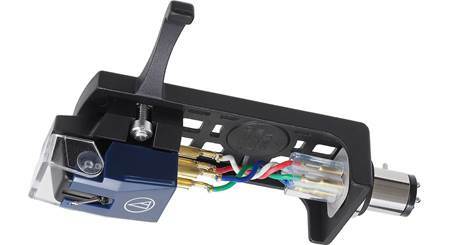 The Audio-Technica VM520EB/H is equipped with a universal 1/2"-mount headshell for 4-pin turntable cartridges. 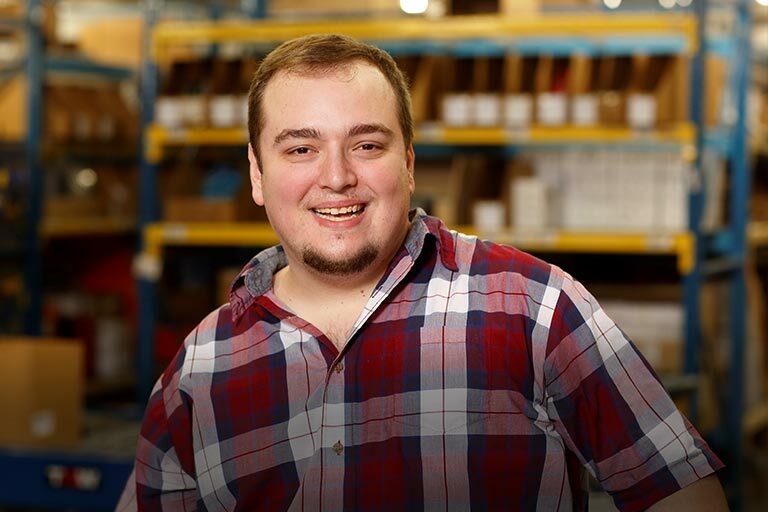 If you're still uncertain whether your turntable model fits the bill, please contact an Advisor directly by phone (888.955.6000) or online chat. Thanks! Searches related to the Audio-Technica VM520EB/H Dual moving magnet phono cartridge on headshell.